Cheffing is fun, if it's not a chore. Also, if you have domestic help to clean up afterwards. This luxury one did not have when cheffing first happened in my US stay, so we did the dish-washing too. A US stay is good for the ego-to bring it down. The blessing in India is we still have maids around who do some valuable work-either the cooking, or at least the washing up- Maid in India, zindabad!. 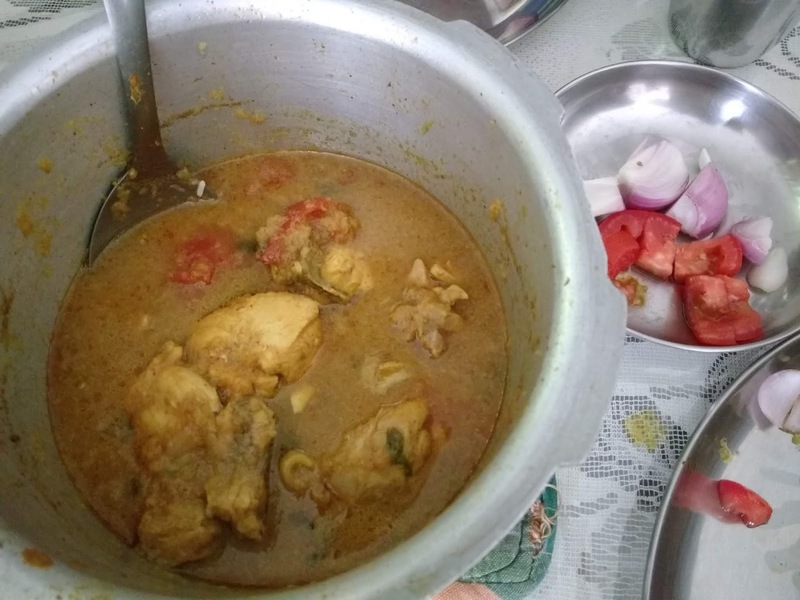 Anyway, I tried my hand at some cooking (home-style chicken curry) after quite some time, and am happy that the result turned out pretty edible-yeah, I could eat it, and so did my family members. Some other regular summer treats like Ice Apple (palm fruit/Taadgola in Marathi) and mangoes from the coastal region of Maharashtra (Ratnagiri, Devgad) also add to the charm of being in Pune during the hot, hot days-this year has been just a bit hotter, with little rain. Solkadhi is now available in packaged form, and I am a big fan of the kokum+coconut drink-good for the soul!! Also started on The Gene by Siddhartha Mukherjee, which describes the process of how genes were discovered and DNA was photographed and identified.